Recommended for infill material application. 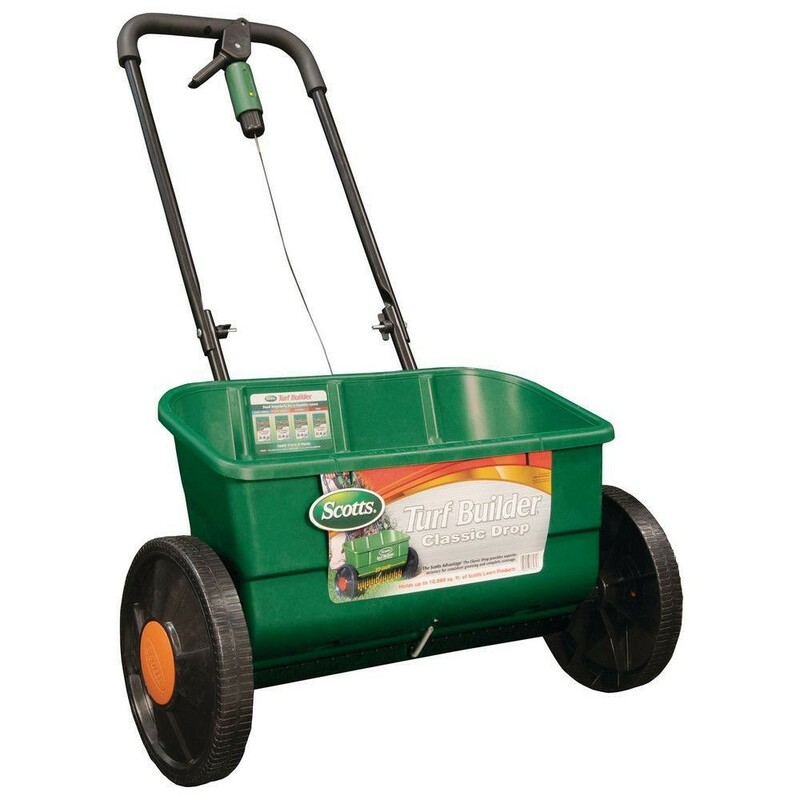 This drop spreader is 22” wide with 12” wheels and capable of holding up to 10,000 sq. ft of product. Fully calibrated and equipped with a precision micrometer, shut off bar, locking release lever, heavy duty frame and tubular rest stand. With increased handle length and comfortable foam grip, this drop spreader is perfect for spreading your infill material evenly.